Japan in the late 16th century was a land in turmoil. Lords of the great clans schemed against one another, served by aristocratic samurai bound to them by a rigid code of honor. Bennosuke is a high-born but lonely teenager living in his ancestral village. His mother died when he was a young boy, and his powerful warrior father Munisai has abandoned him for a life of service to his Lord, Shinmei. Bennosuke has been raised by his uncle Dorinbo, a Buddhist monk who urges the boy to forgo the violence of the samurai and embrace the contemplative life. Clever weaving of history and fiction. Minamoto Yoshitsune should not have been a samurai. But his story is legend in this real-life saga. 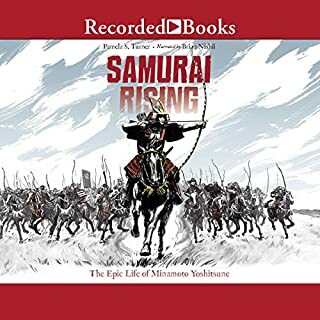 This epic warrior tale may sound like a novel, but this is the true story of the greatest samurai in Japanese history. When Yoshitsune was just a baby, his father went to war with a rival samurai family - and lost. His father was killed, his mother captured, and his surviving half-brother banished. Yoshitsune was sent away to live in a monastery. Skinny, small, and unskilled in the warrior arts, he nevertheless escaped and learned the ways of the samurai. In 1861, foreign ships have forced open Japan's doors to the West. Missionaries have come to Japan; they are there to save men's souls, but to the Japanese they are there to spread false religion. 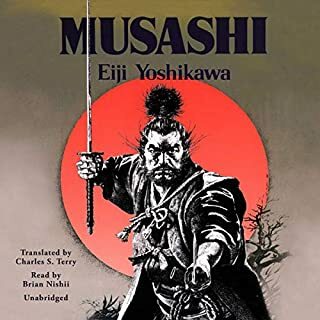 The young Lord Genji, who possesses the power of prophecy, flees to the Cloud of Sparrows castle, where he shelters two American missionaries. 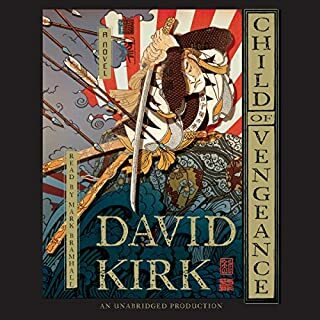 Together with a legendary swordsman and an enigmatic geisha, they embark on a harrowing journey through a dangerous landscape to prepare for a final battle. Over the decades, the reputation of the samurai has grown to mythical proportions, owing to such films as Akira Kurosawa's Seven Samurai and Yojimbo, as well as works such as James Clavell's epic Shogun. In Legends of the Samurai, Hiroaki Sato confronts both the history and the legend of the samurai, untangling the two to present an authentic picture of these legendary warriors. 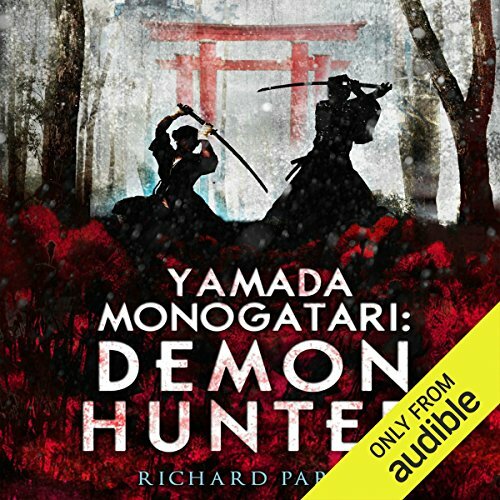 In an ancient Japan where the incursions of gods, ghosts, and demons into the living world is an everyday event, an impoverished nobleman named Yamada no Goji makes his living as a demon hunter for hire. With the occasional assistance of the reprobate exorcist Kenji, whatever the difficulty - ogres, demons, fox-spirits - for a price Yamada will do what needs to be done, even and especially if the solution to the problem isn’t as simple as the edge of a sword. Yet, no matter how many monsters he has to face, or how powerful and terrible they may be, the demons Yamada fears the most are his own. ©2013 Richard Parks (P)2014 Audible Inc. This is a series of short stories presented in order. There isn't a lot of spells and sword play being done. Instead our hero is a down his luck noble who is hired or finds demon related jobs. This novel gives an insight into demons and the like from a different culture. The setting is in an ancient time. I enjoyed it a lot. I especially enjoyed narration by Brian Nishii. It is obvious that he has some degree of being bilingual. But his voice is English speaking with the foreign words being spoken correctly. This adds an enjoyable flare to the stories. I recommend this for those looking for something different. Japanese mythology is richly woven into this collection of adventuring tales. 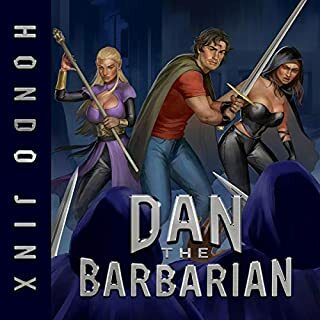 Two unlikely companions meet oni, ghosts, fox demons and worse - mortal treachery in this well performed audio book. Great fun for lovers of samurai fables. I had great hopes for this book but i was sorely disappointed. 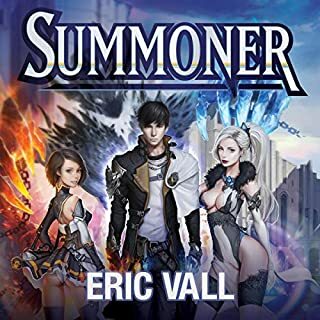 The main character is supposed to be a Demon Hunter as the title suggest but he is more like a Demon Soother He brings comfort and well tiding to monsters everywhere. I can literally count the number of times he use his sword on one hand. Now don't get me wrong I love a good story where the hero uses his mind instead of brown. But in every situation the problems were so simply solved that the people with the problems should have solved them long before he ever arrived. Plus all of the spell work and important life saving stuff was all done by his side kick a disreputable monk. who is like Watson to his Holmes. It was like short murder mysteries written in time of the samurai. I wish there were more. Uses the tropes of traditional Japanese supernatural to tell thrilling stories involving characters we care about. I was expecting a typical hack and slash heavily western influenced style ninja novel. It was more of a detective novel than an adventure novel however I like books with characters that use their brains as much as their skills so I liked this. I also liked that the author got the right feel for the Japanese. Having lived in Japan and worked with the Japanese for over 10 years I was expecting lots of cringe worthy Western stereotypes. I didn't get them which was a pleasant surprise. A very enjoyable way to experience Japanese history and myths. this book is a mix of a Japanese myth and legend anthology and Sherlock Holmes detective stories. I have read a few Yamada stories in their original publications and listened to a few as well in podcast form. I think the narrator for this version is much better at capturing the tone and voice of Yamada and Kenji, but at times goes a bit over the top when it comes to the voices of the supernatural beings. I enjoyed this series of semiconnected stories. They have a touch of the Dresden Files short stories in their structure. Short and interesting and well narrated. I would recommend it to those who love "detective" type stories. Impoverished nobleman Yamada no Goji is a demon hunter in an ancient Japan, where the existence of ghosts and yōkai is a fact of life. His craft is difficult and requires intelligence and understanding as often as it requires his blade or tailsmans and his trade draws him into the schemes of humans seeking power, as well as those of the demons themselves. This book has a lot going for it. The main story is broken up into a series of interlinked shorts, each involving a different task. All are plot heavy and there wasn't a point in the book that my interest wasn't held. The characters are good, the descriptions beautifully written and the mysteries intriguing. Brian Nishii's performance was impressive, partly because he can clearly speak both Japanese and English fluently, helping evoke the setting of the story. He has a great voice to listen to and I really enjoyed the way he acted out the parts of the different characters. There are two reasons this is a four star, rather than a five star listen for me. The first is that earlier on in the book both author and narrator fail to give a completely credible impression that the world we're visiting is ancient Japan. The language and the way the hero speaks are a bit too modern at times and the narrator also often lapses into a more Americanised accent for the hero. Also, it didn't give me what my audio-book group describes as a 'book hangover', that feeling where nothing else seems as good and you can't wait for the next one to come out. Overall if you only have one credit a month and don't get through many books a year there are better fantasy books out there to spend it on. 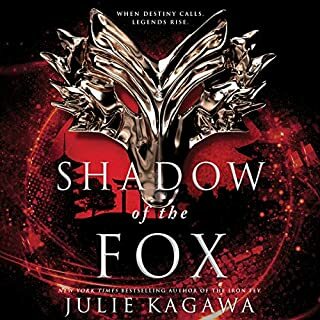 On the other hand if you read a lot like myself and enjoy paranormal fantasy books with plot as well as punch, I really recommend this. The story. Little clues here and there that later turn out to be huge clues because of the way the main character engineers things. It's very derivative. What could Richard Parks have done to make this a more enjoyable book for you? A story about demons and ghosts is going to be hard to make 'convincing' but this is just Sherlock Holmes with demons and ghosts and Kitsune! Have you listened to any of Brian Nishii’s other performances? How does this one compare? Not really. It's like teenage fictio. Could you see Yamada Monogatari: Demon Hunter being made into a movie or a TV series? Who would the stars be? Brian Nishi is the only good thing about this book. Brilliant as ever. If you want a very simple, drab sort of story to listen to, one that'll help youget to sleep, but this book!